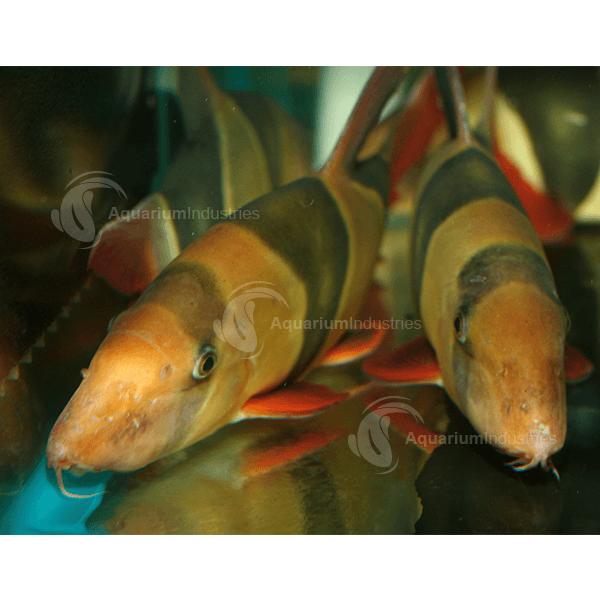 The Clown Loach originates from the inland waters in Indonesia on the islands of Sumatra and Borneo. 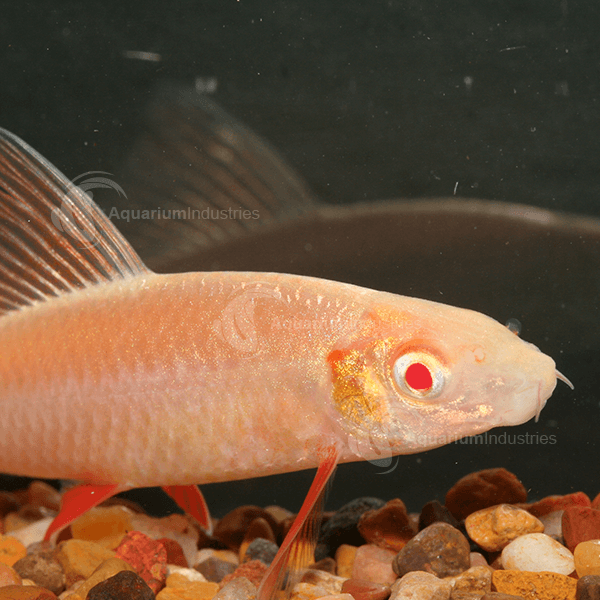 It has a long and laterally compressed body with an arched dorsal fin and four pairs of barbels. 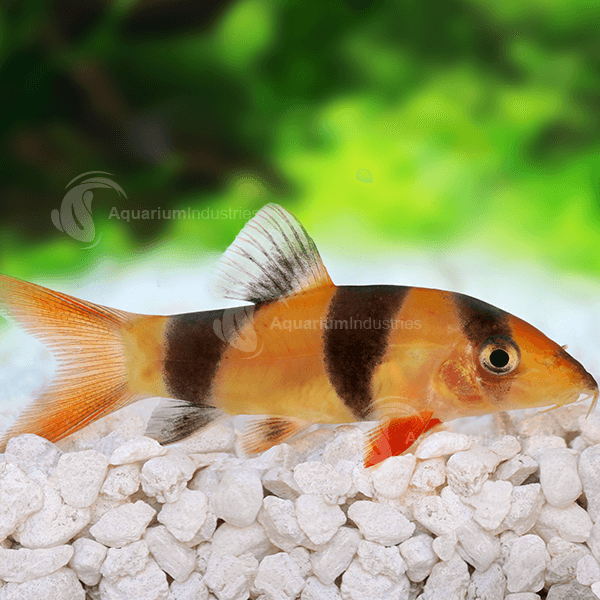 The main body is reddish orange in colour with three wide vertical black bands. Its mouth faces downwards and has fleshy lips. 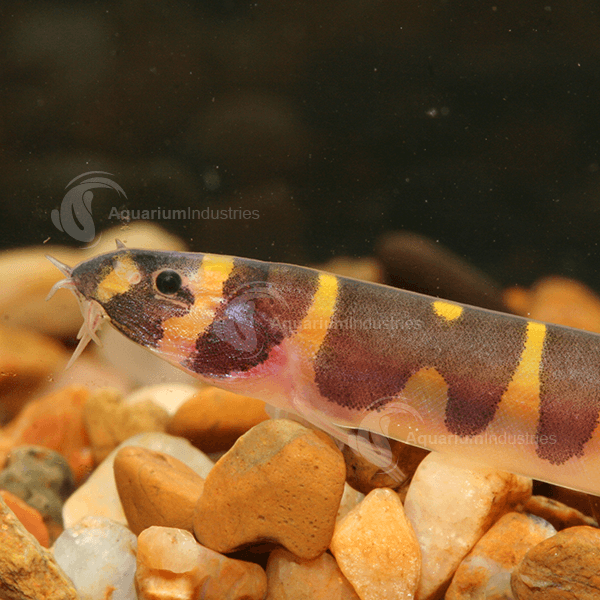 As their defence mechanism, Clown Loach can extend the movable spines found in the groove below the eye. They should be handed carefully as the spine may cause a painful wound, but fortunately is not venomous. 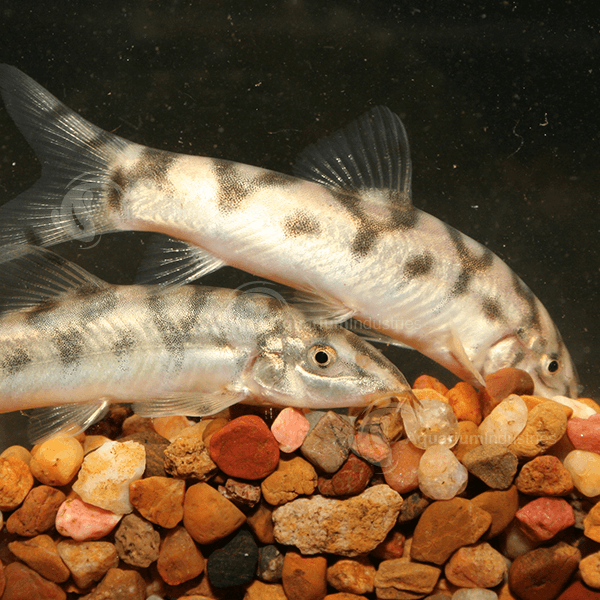 Sometimes they appear to lie on their sides on the bottom of the tank or swim upside down and appear to be dead, this however is normal behaviour. They are very effective at eradicating infestations of pond snails from aquariums.